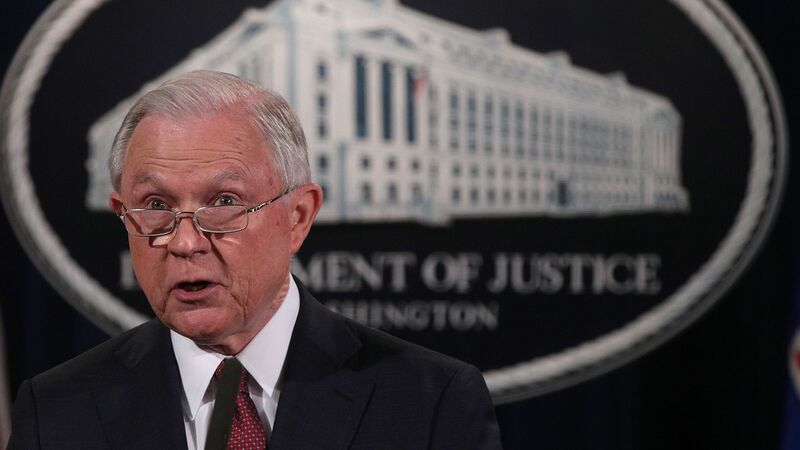 Attorney General Jeff Sessions on Wednesday issued a stern warning to 23 jurisdictions, asking for records that could show whether they’re unlawfully withholding information from federal immigration authorities or they would face subpoenas. The details: Among those that received the DOJ notice are California, Illinois and Oregon, as well as Chicago, Denver, New York City and Los Angeles. The Justice Department said the agency had previously contacted the jurisdictions, arguing that their policies violate federal law that promotes information sharing with immigration authorities. What's happening: In response to the DOJ threat, New York City Mayor Bill de Blasio canceled today's meeting with President Trump. He would have been one of more than 100 mayors gathering at the White House to discuss infrastructure and other issues. The backdrop: This comes a month after a California federal permanently blocked President Trump's sanctuary cities executive order, which sought to deny funding to municipalities that refused to cooperate with efforts by the federal government to identify and deport undocumented immigrants. Sessions' move is part of the president’s broader crackdown on undocumented immigrants living in the United States.